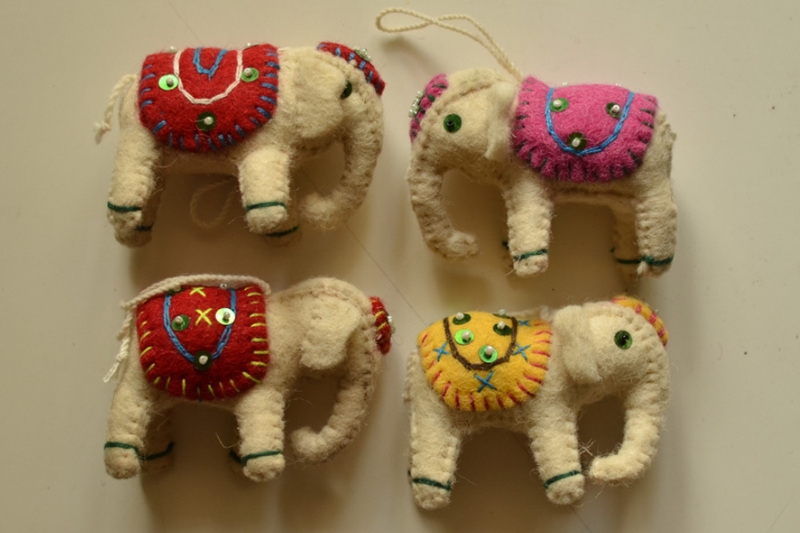 About Product : Let your little kids be cuddly with these hand-felted toys or celebrate your love for animals by ornamenting your home with these felt animals. 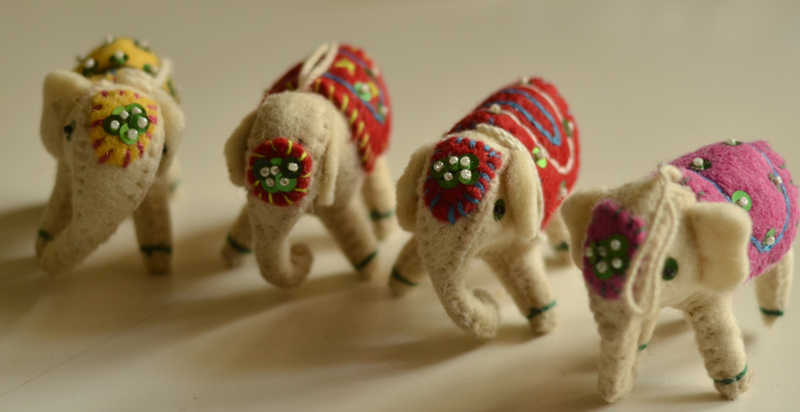 Handcrafted by Namda artisans of Tonk, these cozy little creatures will fill warmth and life into your living spaces. In India it is said that a person named Nubi created the first felted th woollen fabric to protect horse of Emperor of 11 Century, Akbar's from cold. 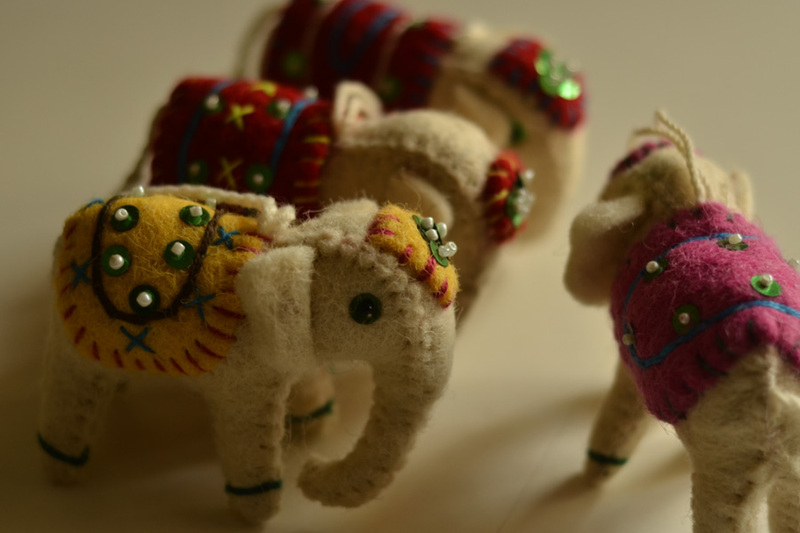 The felted piece was very intricately decorated with craftmanshiip of Nubi, thus impressed the emperor. The craft was given the title of Namda after the name of its creator Nubi. 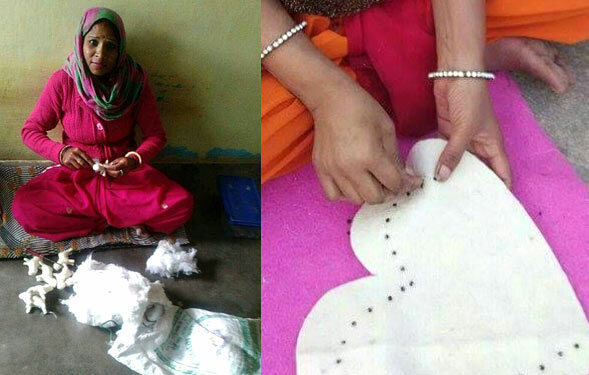 The craft of Namda making is followed in very limited areas in Kashmir, Himachal Pradesh and parts of Rajasthan. 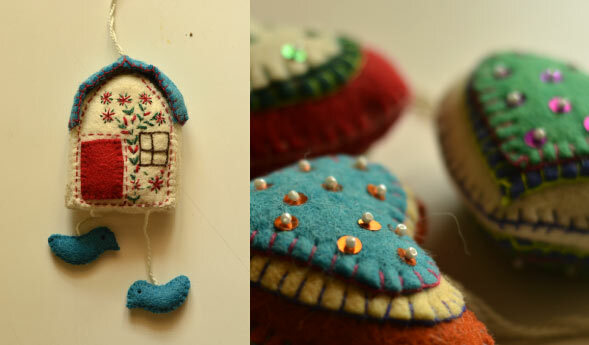 Main region for felt crafts in kashmir, where Namda is the craft of making carpets by felting. This craft is said to have traveled to Kashmir from Iran along with a Sufi Saint, ‘Amir kabi Shah- e-hamdan’ many centuries ago (600yrs to 700yrs). Accompanied by master craftsmen who excelled in woodcarving, weaving, namdakaari, woven carpets, Papier Mache et al, the saint came with a noble mission to generate work opportunity for the locals. This noble endeavor of the saint is a living heritage that continues to be one of the prime occupations and source of livelihood for the people of the valley even to this day. In 1727, Jaipur was established as a new capital by Sawai Jai Singh II (1700-1743) and artisans, craftsmen & merchants were invited to institute centers of trade in Jaipur. Today It is believed that the Namda clusters is n Tonk district collectively form 500 plus Artisans and workers. 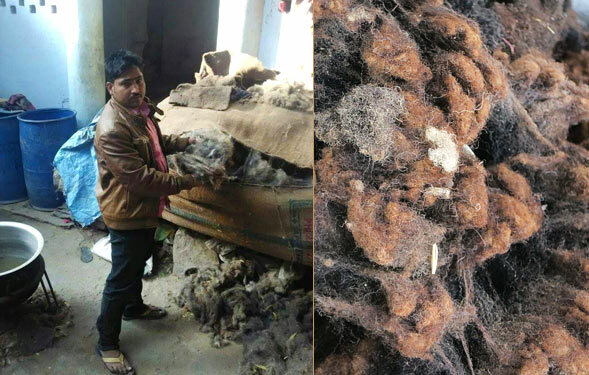 Raw wool is purchased from Kekri (for coarse quality) and or Jodhpur (for finer quality) in Rajasthan which are wool trading wholesale markets. 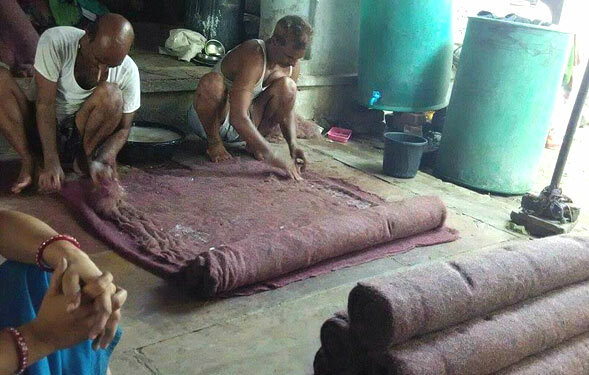 Traditional Namda making consist of first making felt sheets, where all the manual work artisans do in their own premises and carding & hardening or milling with machines is done by the support of the factories providing the required mechanical services. Primarily thicker dyed felt sheets are cut to the required basic shapes like rectangles, squares, circular etc. as per the need of the product proposed to be finally made. 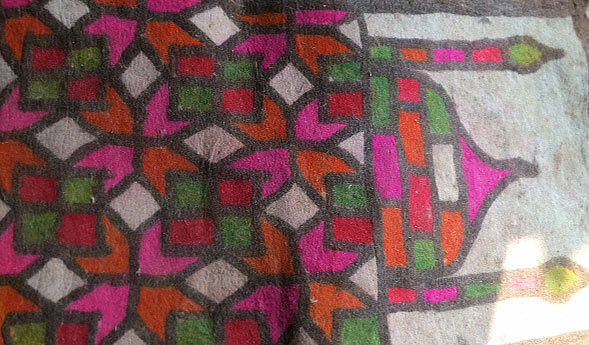 Thinner felt sheets are cut in to smaller shapes according to the requirement of the ornamentation. 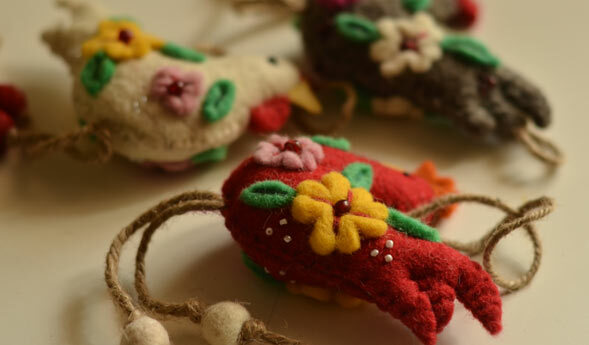 In accordance to requirements of export market There product largely are stuffed toys used as accessories and Christmas decorations,bags n pouches, cushion covers, rugs etc. The prodducts also are made from felt molding technique. Designs are mostly provided by the buyer and prototypes are done in close co ordination with the buyers of the product and or export trading companies. Note The products in this category are handmade and unique, these might slightly differ from as seen on screen. In India it is said that a person named Nubi created the first felted th woollen fabric to protect h..